The electrical power supply is about to change; future generation will increasingly take place in and near local neighborhoods with diminishing reliance on distant power plants. The existing grid is not adapted for this purpose as it is largely a remnant from the 20th century. Can the grid be transformed into an intelligent and flexible grid that is future proof? 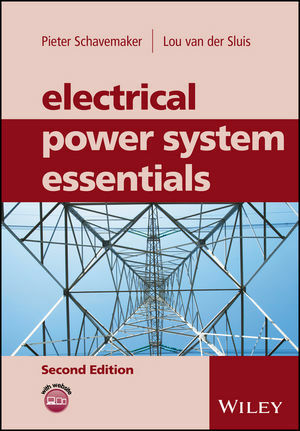 This revised edition of Electrical Power System Essentials contains not only an accessible, broad and up-to-date overview of alternating current (AC) power systems, but also end-of-chapter exercises in every chapter, aiding readers in their understanding of the material introduced. With an original approach the book covers the generation of electric energy from thermal power plants as from renewable energy sources and treats the incorporation of power electronic devices and FACTS. Throughout there are examples and case studies that back up the theory or techniques presented. The authors set out information on mathematical modelling and equations in appendices rather than integrated in the main text. This unique approach distinguishes it from other text books on Electrical Power Systems and makes the resource highly accessible for undergraduate students and readers without a technical background directly related to power engineering. The book is supplemented by a companion website from which teaching materials can be downloaded.